With St. Patty’s Day a couple of days away, I figured I would try a few Irish beers up until the 17th. Finding actual Irish brewed beers was not easy. I did manage to find two (I’m sure you can probably guess what one of them is) but the store I frequent has a better selection of beers from Norway than Ireland…go figure. Tonights beer was not brewed in Ireland but had an Irish theme to it. 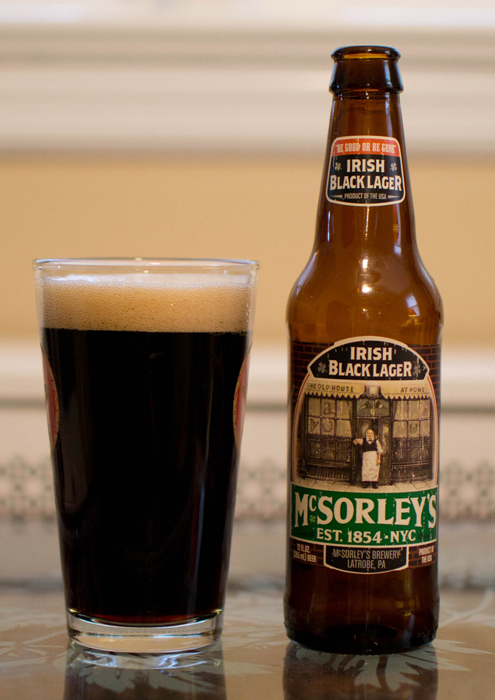 Beer #107 is McSorley’s Irish Black Lager. Like I said before, this was not brewed in Ireland but to be quite honest, I’m not really sure where it was brewed. The label says Latrobe, Pennsylvania by McSorley’s Brewery but according to RateBeer.com and BeerAdvocate.com, it was brewed in Illinois by Pabst Brewing Company. I’m thinking the latter is correct since I can’t find anything about McSorley’s Brewery. 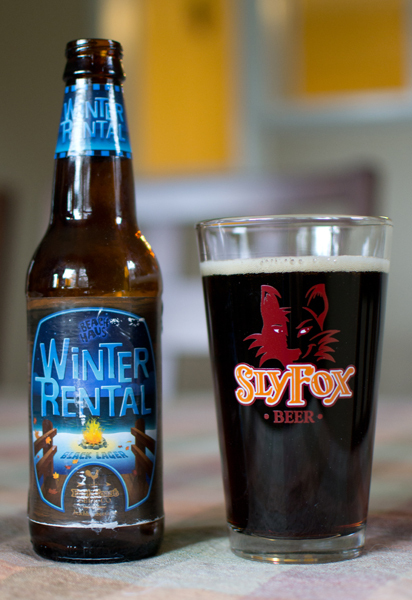 Anyhow, this is a Euro Dark Lager with an ABV of 5.5%. It poured a very dark brown, almost black but had some deep red color to it when held up to the light. It had a decent one finger width light tan head that produced a bit of lacing clinging to the glass. I took a whiff…nothing, absolutely nothing I could detect until it sat for a bit and warmed up then there was a bit of a roasted malt aroma. It was very weak smelling indeed. It didn’t exactly have me drooling at the mouth in anticipation of the taste. Surprisingly it did have a bit of flavor. Those flavors were really weak too. There was a slight bit of sweetness and a very weak roasted malt flavor. To me, it was like coffee, but very watered down. It was a very light bodied brew, almost watery with enough fizz to let you know it is actually carbonated. I guess you could say the drinkability was high as the alcohol was undetectable and there were no nasty flavors or bad aftertastes. That being said, I wouldn’t look for this again. There are just way too many average and better beers I have had that are so much better than this. There was nothing here that was truly horrible but this was very forgettable.